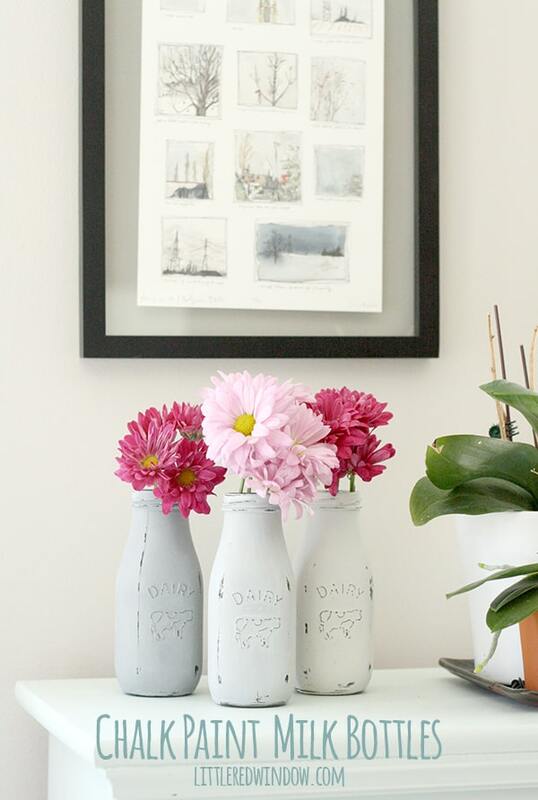 Wondering how to chalk paint glass? 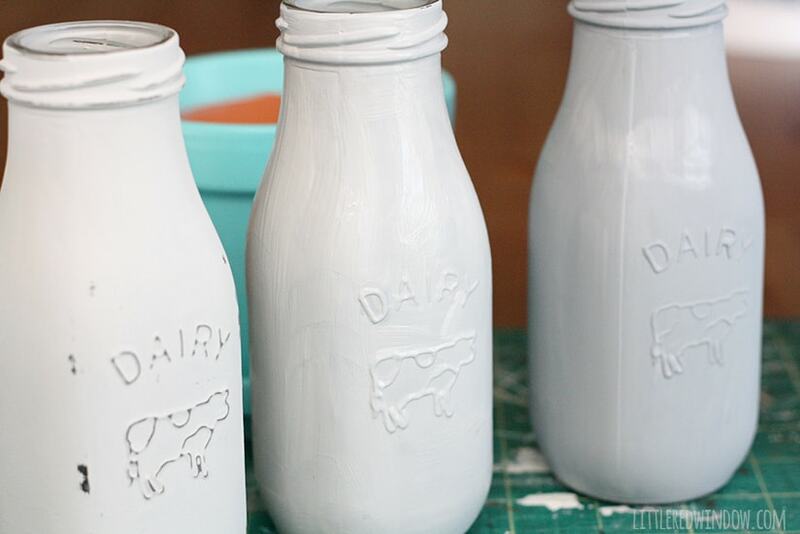 Transform these 89 cent milk bottles with chalk paint and a little elbow grease! You guys, as when I came up with this idea, I was worried that I wasn’t totally sure how to chalk paing glass. 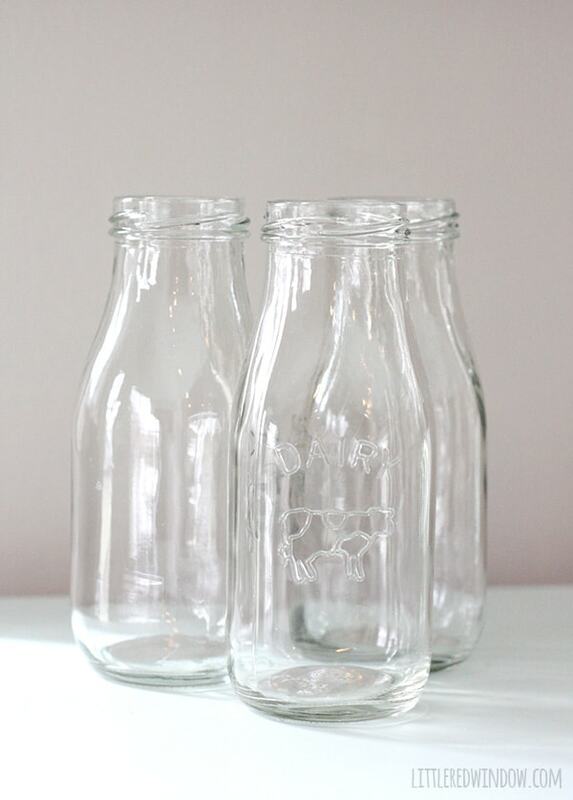 But I saw these cute little milk bottles in the glass aisle at the craft store and they were only 89 cents each. And then the entire section was on sale on top of that! So I grabbed three (because everything always looks better in odd numbered groups) and brought them home. I stood for a while in the glass paint aisle while I was there, because those were also on sale, but in the end didn’t get any. Instead I remembered that I had some chalk paint at home that I’d only used a tiny bit of. 1. Make sure your bottles are clean and dry. 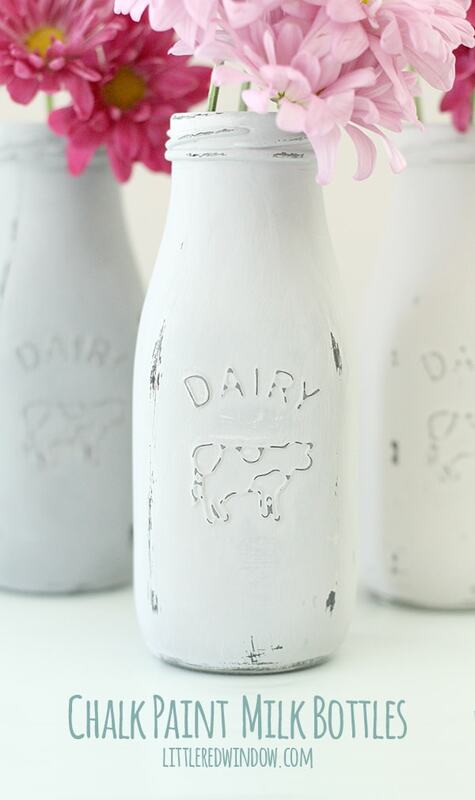 Then using a large paintbrush, apply a coat of chalk paint directly to the outside. 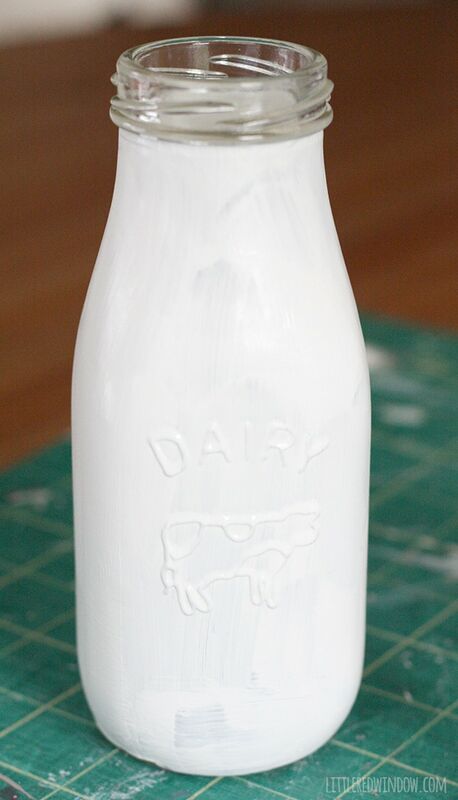 When that has dried according to the directions, add a second coat. That was all I needed! 2. 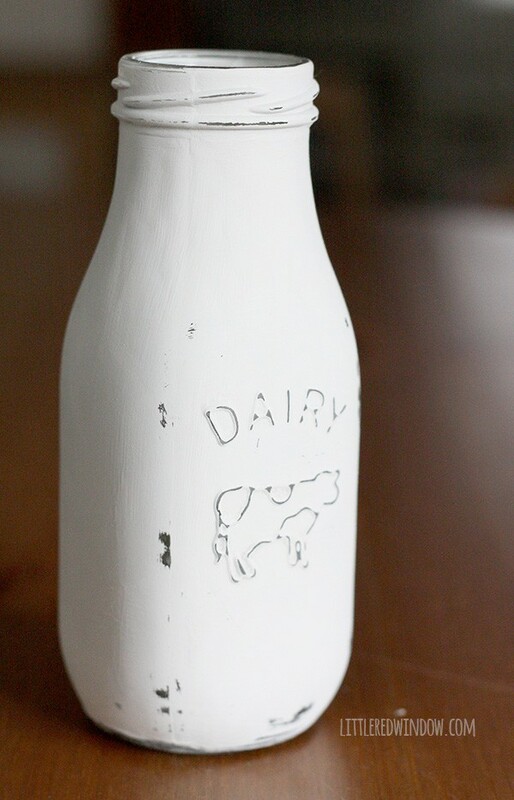 When the second coat is dry (but don’t wait too long) use the 220 grit sandpaper to distress your milk bottles. Focus on the raised areas and edges. I was surprised that although the paint did distress well, it did take a bit of elbow grease. That’s a good sign that the chalk paint adhered well to the glass! 3. Repeat with your other bottles as desired. I decided to mix my light gray smoke color with a bit of charcoal to create two darker shades so I would have an ombre effect with my bottles. It took a bit of trial and error to mix the right colors because chalk paint definitely dries a little darker than it looks when it’s wet. But I was happy with the end result! 4. 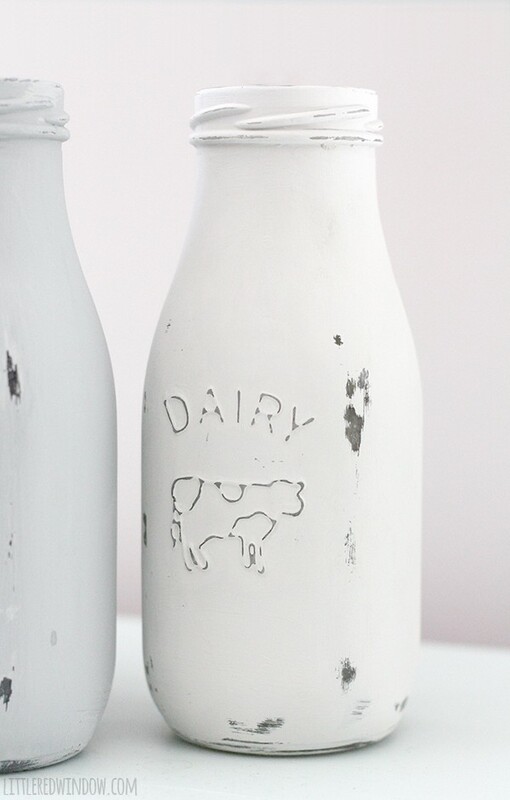 You can wax chalk paint to protect the finish but I haven’t tried that yet. 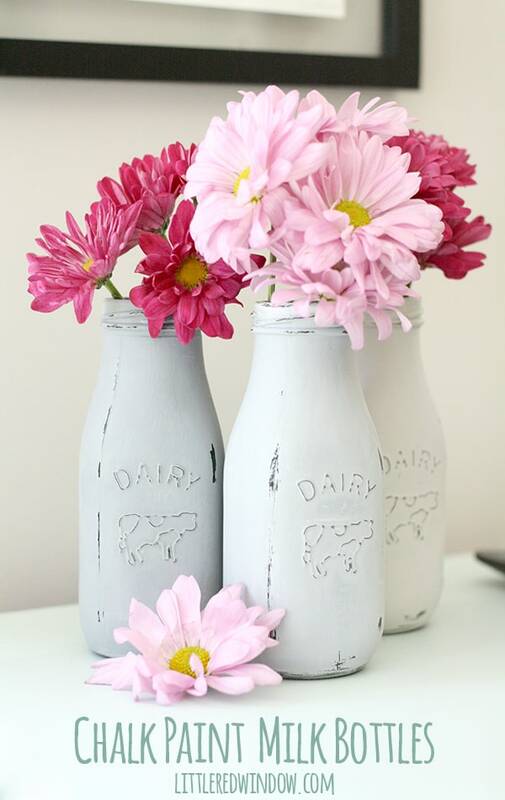 They look super cute just sitting on a shelf, but I also decided to try using my milk bottles as vases. Don’t they look pretty?! 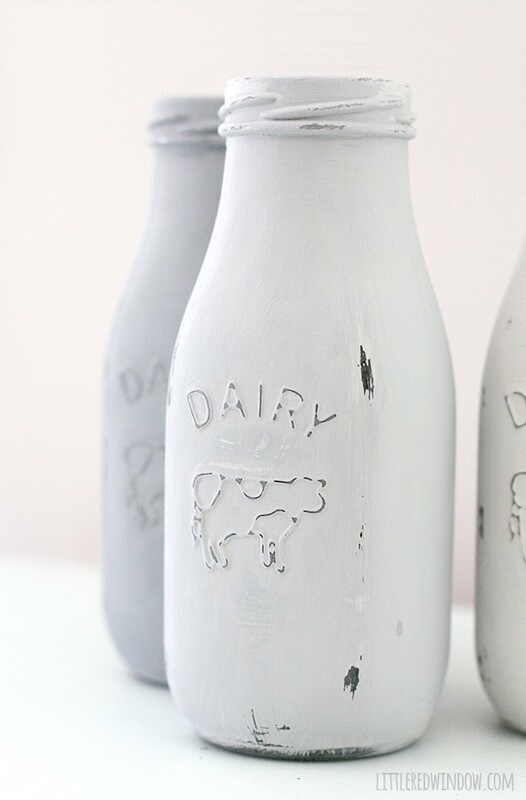 Because chalk paint is water based, I’d avoid getting these wet and definitely don’t submerge them. A couple of drips didn’t seem to hurt anything but I wouldn’t want to test it too much. But again, a waxed finish might help with that. I’ll report back if I try it! 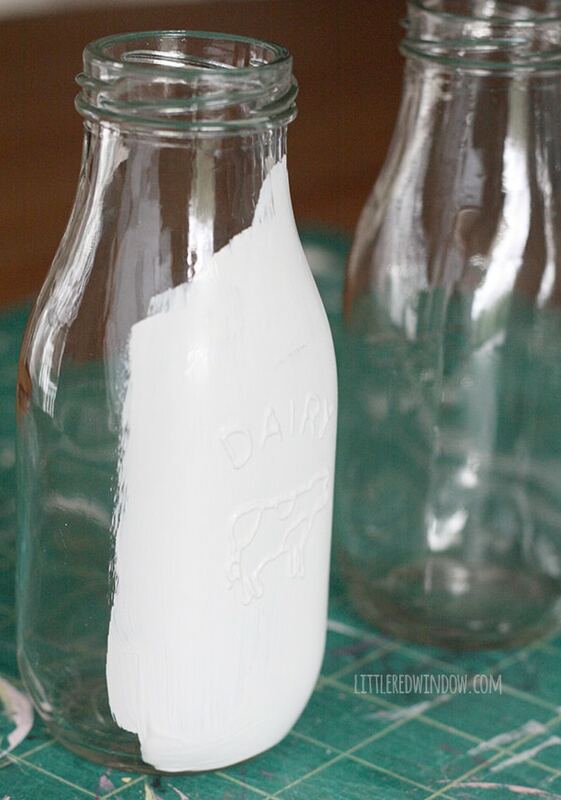 And now you know how to chalk paint glass! 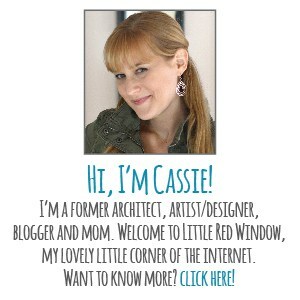 Try it on some other projects and share them with me!